Last week I found myself a bit worked up over two different issues that would have made excellent blog posts. Unfortunately I was so concerned I might be too worked up to treat the topics fairly that I didn’t write anything. Now I’ve lost the moment, the passion, and some of those great thoughts. Today I saw the Fellini quote, and it struck me that I should have written about my irritation at the time. I am learning to be honest in my writing, and this is the format where I need to practice that skill. It seems silly to say that, but back in the dark ages when I was in high school the focus of writing was not personal narrative and giving students a voice like it is now. We were taught to research and present information. How we felt about the information was irrelevant. When I started working, I was paid to write business reports and letters which often required the passive voice. The research proves… The impression expressed by the focus group shows… My schedule allows me to meet with your client on… Again, my opinions didn’t matter. I also spent a short time working for small newspapers. I was hired to sell advertising, but one of the joys of small publications is that you wear many hats. I did a lot of reporting during that time, and again the goal was to write an objective account of the events. My thoughts on the event were not allowed. Years later I returned to school, and discovered that in analyzing literature my thoughts and opinions were necessary, but they had to be hidden within the buck-fifty vocabulary and complex sentence structure that shows off a higher education. I was no longer permitted the safety of the passive voice, but still expected to write in the third person and make my writing sound professional and objective. I excelled at this, but often played it safe. I was an older, non-traditional student, and focused on grades and good opinions rather than experimenting or taking chances. I made the mistake of writing what I thought my professors wanted rather than writing what I wanted. Then I took a number of classes with a professor who took the time to get to know me outside of my writing. Soon he started writing little notes on my papers: “so what do you really think?”, “why do you care about this?”, and even more importantly “why do you want me to care about this?” The assignments started getting longer and time started getting shorter as I was also trying to be a good wife and mother. I had less time for research and fancy wording, and my patience and revision time were also running out. In a late night writing session, hours before a twenty-page paper was due, I gave up and just wrote what I thought, what I liked about the book, and what I thought was lacking in this brilliant dead-white-guy’s canonical work. I even had the sleep-deprived nerve to write how that piece of literature angered my feminine twentieth-century sensibilities in order to fill the required twenty pages. Without time for a second glance, I hit print, and ran for the shower. Within hours, I turned in that paper; too tired to even care that it was a load of BS. The very next class, my assignment was the first one returned with a huge A+. My professor, in large scrawling script wrote, “It’s about time! Brilliant analysis! I knew you had this in you!” It was the last semester of my Master’s program, and although I can’t even remember the author or work I was analyzing, I remember the big lesson of that class—my thoughts are relevant, important, and even brilliant. So now I sit here wishing I had remembered that lesson and seen Fellini’s words about the oyster’s pearl before last week. A pearl is created by an irritation. My irritations could have been the stuff of excellent writing. My thoughts on those subjects might have been the kick in the pants someone needed to make important personal changes. My words might have started discussion that would lead to better understanding of others. 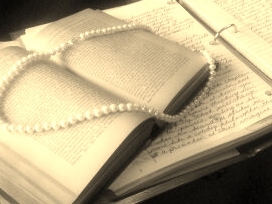 And hopefully one day my irritations will become a pearl and my writing will become art. That was a great post, Kathryn. I have experienced the same journey. I’m learning to let my personality show in my writing, after years of dry and emotionless business writing and corporate communication. Excellent piece, Kathryn! A lesson learned and shared and one we can all grow from.